Unfortunately, the dress you are looking for (Style: DQ-8768, Name: Floor Length Short Sleeve Lace Dress) is no longer available. 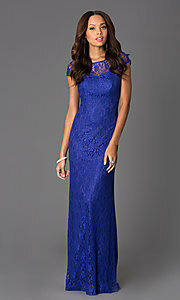 Simple elegance is yours when you arrive at any formal event in this magnificent short sleeve lace gown. A beautiful long lace dress for prom that begins with a slim fitting sweetheart sheath that hugs your curves to create a flattering silhouette. Delicate floral lace then covers the entire dress creating a sheer scoop neckline, short sleeves, and a V-cut back. 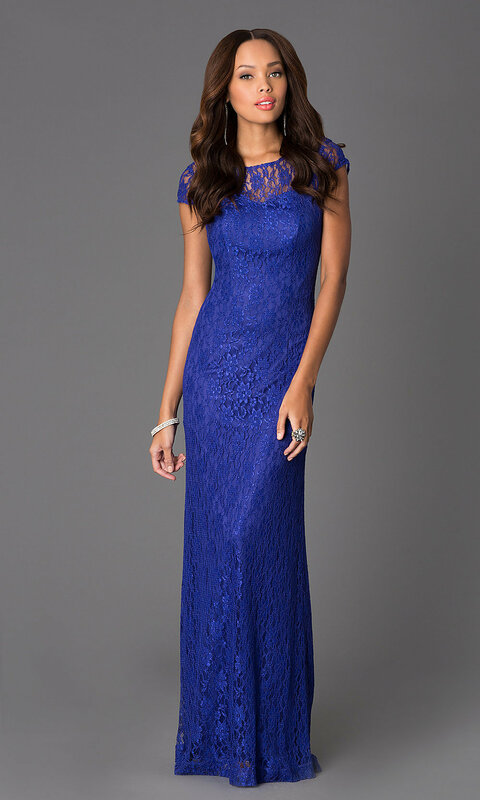 Beautiful color choices and a classic design also makes this short sleeve long lace dress a fabulous choice for bridesmaid dresses or a winter formal dress. The model is 5' 7.5" and wearing 3" heels.